When I was in high school, I took a class in Gregg Shorthand. About all I remember of it now are the long nights of homework. But at the time, that was all we had to speed up note taking in college, and it was widely used in businesses as well. Texting has given way to a whole new form of shorthand. “BRB” means “Be Right Back”, “G2G” is used for “Got To Go”, and “WRU” for “Where Are You”. But there’s one I wish we’d just forget and never use again: OMG. Whether you mean it or not, it stands for “Oh My God”, and is disrespectful to God. As the second commandment given to Moses says to not use God’s name in vain, using it is also sin. But this is just one of many ways we show dishonor to His name. There’s the old “GD” that so many make into a habit. I have often wondered how it didn’t become “SD” and Satan’s name used instead, but then no one but God can understand the evil that lurks in man’s heart. There’s no end to the list of words we use to defame God by taking His name in vain. God is jealous for us. He is jealous for our love and attention. But using His name in vain is degrading, defaming, dishonorable, and shows a lack of love and respect for Him. Psalms 139:20 says “Your enemies take your name in vain.” God’s word is true from cover to cover, so why is it then that we see this verse calling those who take His name in vain “enemies” of God, and yet they occupy church pews every Sunday? I pray it’s not a heart condition, but a mouth disease that ails them! Leviticus 19:12 says “And you shall not swear by My name falsely, nor shall you profane the name of your God: I am the Lord.” The word swear in this sentence comes from the Hebrew word “shaba” (Strongs H7650), which means to swear in court, take an oath, or curse. Profane in this sentence is the Hebrew word “chalal” (Strongs H2490), which is to defile, pollute, profane, treat as common, wound fatally. God’s exacting of words in explaining what should not be done with His name show how it makes Him feels when we use His name in vain. His words in describing Himself in this verse also show why He feels so strongly. “God” in this verse is “elohiym” (Strongs H430), which means ruler and creator. It is the plural form of “El” which means strong one. 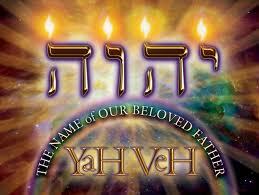 “Lord” used in the verse is the Hebrew word “Yĕhovah“ (Strongs H3068) which we pronounce Jehovah. It means “the existing one”. These are names relating to His power and His infinite being. Those characteristics of God alone should cause us to reverence His name. There is no one with more power or that has no beginning or end. When Jesus gives us an example of how to pray in Matthew 6:9, He begins with “Our Father in heaven,Hallowed be Your name.” To hallow His name is to make it sacred, holy, and to separate it from profanity, to consecrate it to God. If this is how we should open prayer to God, then shouldn’t it be more than lip service? Shouldn’t we show His name such respect when we’re not praying?